Expojove es una cita que miles de niños tienen todos los años en el periodo navideño, donde pasan un día de navidad diferente. 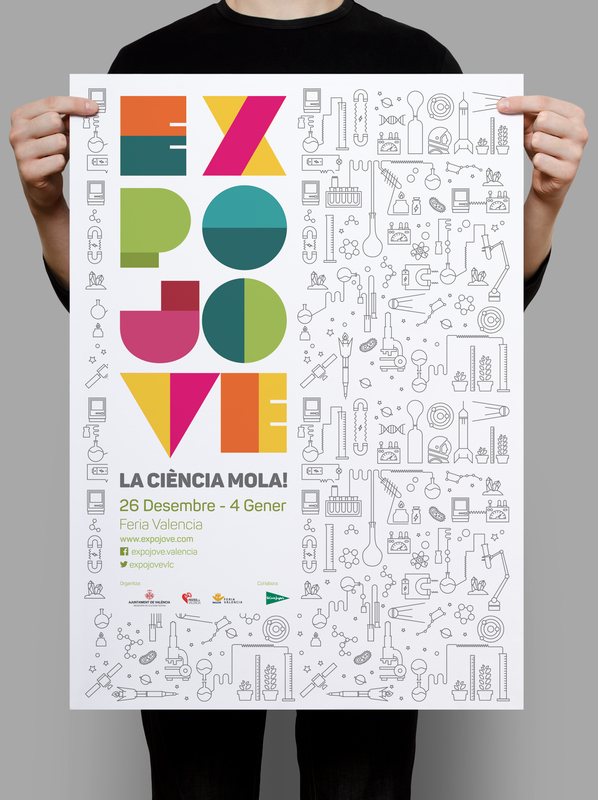 Expojove is an event that thousands of children have every year over the Christmas period, is a magical place filled with activities to entertain younger children, where adults will also enjoy. This year the theme is science, the audience that you want to reach are aged between 12 and 20 years, who in recent editions had left the annual event because they had more activities for childrens, with the poster is not intended to underestimate the intelligence of the smallest with no a condescending language.